The Sonata Mirror is a circular bevelled glass mirror. The mirror is designed to be wall mounted. 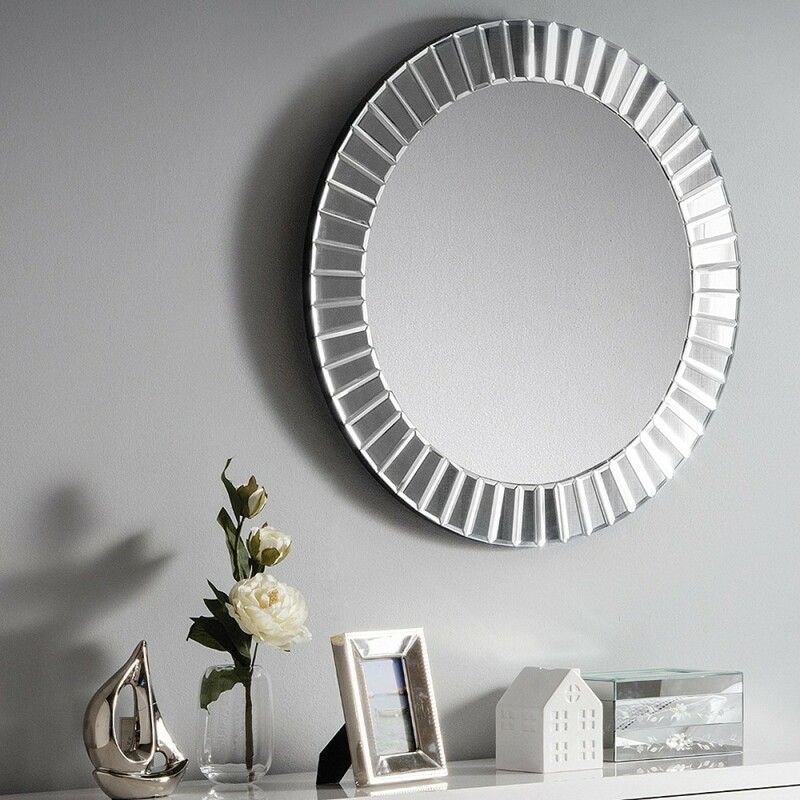 The mirror has a large diameter of 60cm and can become the centrepiece of any wall it is mounted on. The glass finish means that it can be matched with any bedroom decor, even if you change your colour scheme. Mirrors can make any room appear much bigger and also brighter by reflecting the light around the room. The dark surround contrasts perfectly against the mirrored glass. Please be careful when hanging the mirror, the item is large, heavy and breakable. The wall fittings, screws etc are not provided with this mirror as you will need the correct hardware for your walls.